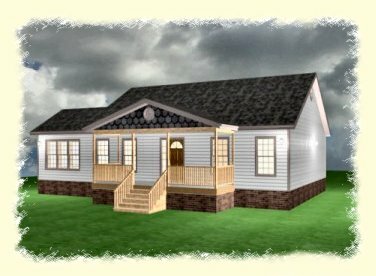 Single Story Home Under 2500 Sq.Ft.-BW020306-Carolina Coastal Designs, Inc. This charming 2-bedroom ranch, serenely situated in the coastal community of Southport, North Carolina, was designed with steel framing, including steel floor joists, steel wall studs, steel ceiling joists and steel rafters. 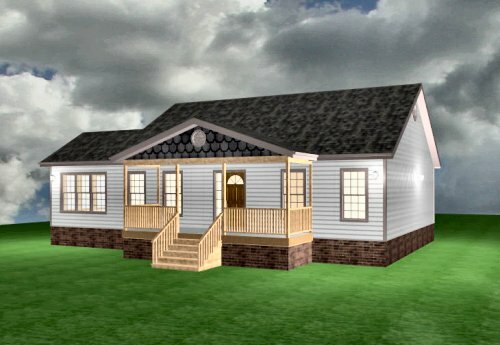 A southern style covered porch along the front of this home opens into an entry hall that has a knee wall separating it from the formal living room. This living room opens to a brightly lit sun porch with an adjoining open deck. The modern kitchen has a snack bar and breakfast room. A utility room is conveniently situated behind the kitchen and it also opens into the "side load" 2-car garage. The sleeping quarters are set to the right side of the house away from the traffic areas. 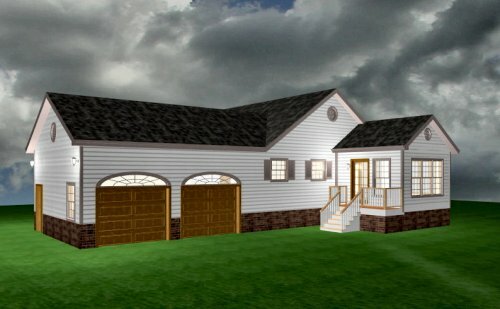 They include a master bedroom and bath, and a guest bedroom and full bath.